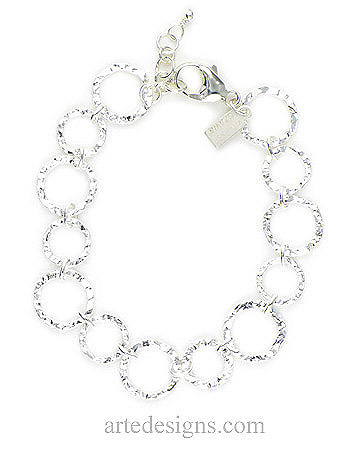 Crinkled sterling silver circles create a very eye-catching bracelet with lots of texture and shine. Versatile and timeless. Large circles are approximately 1/2 inch. Adjustable 7 to 8 inches long with a sterling silver lobster clasp.